What better time to take stock and thank all of those who have contributed to your organization’s enduring success than a 50 year milestone anniversary? Your company’s 50th anniversary provides the perfect opportunity to reflect, engage and renew: reflect on the foundational dream, people and transitions that have made your organization what it is today; engage employees, customers and your community; and renew the values, commitment, and vision that will shape your company in the future. Many successful Canadian and U.S. entrepreneurs, such as the D’Uva family of Downsview Kitchens, the Richardson family of Sugarcreek, and the Deltin family of Frendel Kitchens are marking their company’s 50th anniversary with a commemorative company anniversary book by Canada’s leading corporate storytelling agency, Historical Branding Solutions Inc. Their shared motivation is to create lasting value beyond the 50th anniversary gala. During the year preceding the anniversary, an anniversary book project creates excitement among past and current long-time employees who are interviewed as part of the content creation process. Employees take great pride in contributing to the story of their company–after all, it is their story as well. The company founder and/or second generation leaders enjoy the process of reminiscing on people and events of the past while sorting through pictures and sharing their memories with their commissioned company history writer. The launch of the company anniversary book at the main 50th anniversary event tops off a year of excitement with a lasting gift that recognizes the contributions made by employees, customers, suppliers, and the community. A 50th company anniversary is the perfect time for creating a company anniversary book not only for the anticipation and excitement it creates prior to and during the anniversary year. 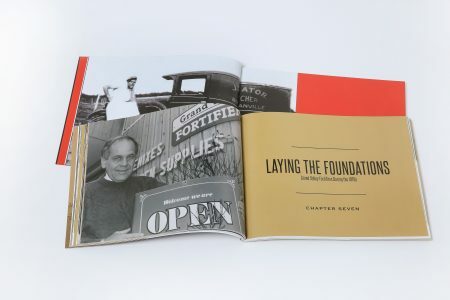 Equally important, a 50th company anniversary book preserves the foundational dream and the founding story at a time when it is still possible to fully capture the legacy of the founder. At the 50 year mark, many companies are still blessed with the presence of an aging founder who has typically taken on the role of Chairperson while leaving the day to day operations to a younger family member or hired president/CEO. Even in organizations where the founder has passed away, at the 50 year milestone it is not too late to tell the story of the founding years through the memories of family members and long-time employees who have worked with the founder often for decades. Fast forward to the next “big anniversary” and many of these first-hand accounts about the founding and early years of the business will be lost forever. 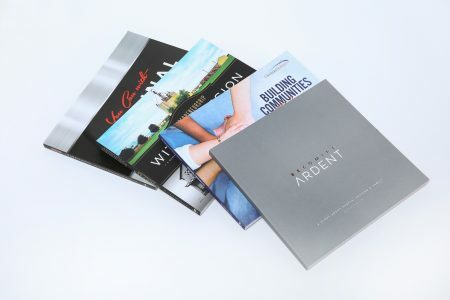 At Historical Branding Solutions, our team of professional historians and award-winning designers has helped companies like Cardinal Meats and Barzotti Kitchens and not-for-profit organizations like Christian Horizons create lasting value through 50th anniversary company history books and commemorative legacy books. Are you approaching a 50th or other milestone corporate anniversary? Give us a call at 519-501-1412 or email us. Three new 2019 company anniversary books, corporate history books and entrepreneurial legacy books in the making at Canada’s premier corporate storytelling agency Historical Branding Solutions Inc.
2018 Company Anniversary - Is it too late to commission a corporate history book for a business anniversary in 2018?